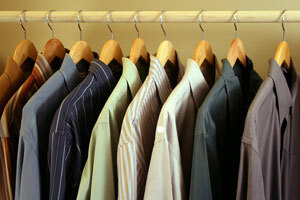 Do you need closet organizers for your home in Louisville, Kentucky? If so, look no further than 31-W Insulation. We’re 100 percent committed to installing your closet systems with incredible attention to detail and to providing your family with the level of customer service you deserve. Whether you need organizers for your master bedroom, pantry, mudroom, garage, or any other room in your home, you can rest assured that we’ll help you design systems that perfectly fulfill your organizational needs. Can be designed to suit your aesthetic preferences. You’ll have your choice of wood/laminate or wire components in a wide assortment of colors. Can be configured to maximize every square inch of your closet. Whether you have a reach-in or walk-in closet, you’ll be amazed at just how much storage space it contains. Can be customized to accommodate practically any wardrobe. If you have too many shoes to count, own an inordinate amount of neckties, or your wardrobe has any other idiosyncrasies, we can help you design closet organizers that flawlessly integrate every piece of clothing, pair of shoes, and type of accessory. If you’d like more information about the closet organizers we install in Louisville, KY, and the surrounding areas, contact us today.